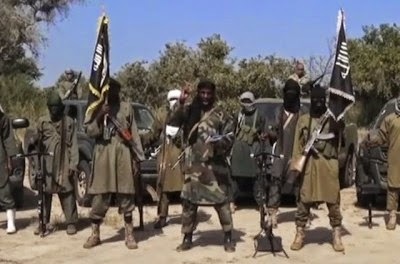 Hundreds of people have been found dead in the north-east Nigerian town of Damasak, apparently victims of the Boko Haram insurgency, as details emerged on Monday of fresh attacks by the militants. Reports of decomposing bodies littering the streets of Damasak came as the president elect, Muhammadu Buhari, denounced the Islamists as a bogus religious group and vowed a hard line against them when he comes to power at the end of next month. North-east Nigeria has been relentlessly targeted throughout the jihadists’ six-year uprising but there had been a lull in violence in recent weeks. A coalition of troops from Chad, Cameroon, Niger and Nigeria has claimed major victories since February, reportedly flushing the militants out of areas they previously controlled. The discovery of hundreds of bodies, including women and children, and the latest attacks underline both the brutality of the conflict and the continuing threat posed by the extremists. The grim find in Damasak “far outnumbered” that of about 100 bodies found in a mass grave under a bridge after the town was liberated in early March by Chadian forces, said local resident Kaumi Kusur. “Bodies were found in houses, streets and many more in the Damasak river which has dried up,” he said, adding the victims were buried in 20 mass graves at the weekend. Mohammed Sadiq, another local who helped in the burials on Saturday, put the death toll at more than 400 but the Borno state government did not state a precise figure, giving a toll of “hundreds”. The victims had been covered by sand from the encroaching desert, with the burial ordered by the state authorities, which are looking at the return of thousands of people displaced by the violence.